The Armenians, Eastern Anatolia's indigenous community, were competent in advanced agricultural methods and masters of almost every craft. Armenian families were settled in old and newly founded towns in Anatolia and Rumelia in efforts to meet the need for competent craftsmen. An Armenian family coming from the Central Anatolian province of Kayseri was the origin of nine craftsmen consecutively, and they left their marks on many buildings in Istanbul and its surroundings during the 18th and 19th centuries such as palaces, mosques, churches, mansions, waterfront residences, barracks, schools, hospitals, towers, fountains, weirs and theater halls. The Balyan Family developed a unique architectural style by blending Europe's baroque and imperial styles with Oriental ornamental style. Apart from passing down their knowledge and experience from one generation to another, the Balyan Family succeeded in modernizing themselves and making sure they were not forgotten. The oldest known master of the family, Meremmetçi Bali Kalfa, migrated from Kayseri's Derevent village to Istanbul in the 18th century and passed away in 1803. Master Krikor (1764-1831) who was the grandson of Bali Kalfa and the first to use his father's name last name Balyan as last name, became Ottoman Sultan Selim III's personal architect. He established such a reputation that Selim III's successor, Sultan Mahmud II, with whom Master Krikor formed a friendship, granted him certain privileges such as tax immunity for him and his family members and permission to ride in the city, in addition to using a two-shoveled boat and having his lawsuits heard by the grand vizier. Master Krikor was also recognized and loved by his community and became an important name in settling disputes in the Armenian community. Garabed Balyan is known as the architect of Beylerbeyi Palace. He watched over the poor and was generous to his employees. The Selimiye Barracks in Üsküdar, which is an engineering marvel, Valide Weir in Taksim and the Nusretiye Mosque on the Boğaziçi coast are the most well-known works by Master Krikor that are still standing today. The master's dinner table was said to resemble a school where young architects were trained. Since Master Krikor bred many nightingales around his house, this region began to be called Bülbülderesi (The Nightingale Creek). Kirkor's brother Senekerim (1768-1833) was the architect of the Bayezid Tower. 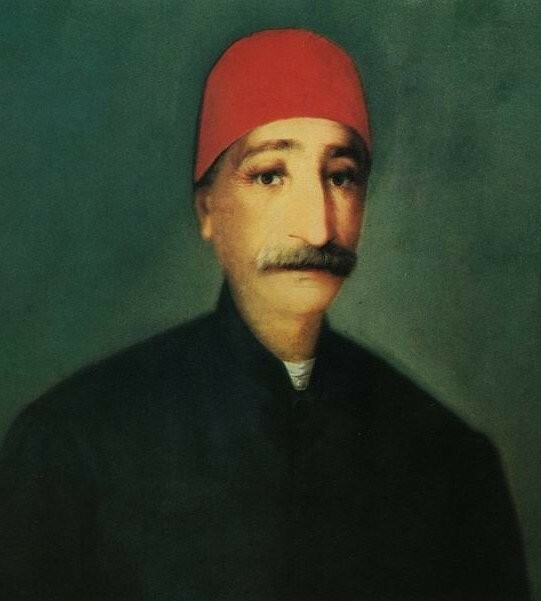 The most prominent name in the Balyan Family, Garabed Amira (1800-1866), the son of Krikor, was ahead of the popular French architects of his time and became the imperial chief architect of the Ottoman court. The Dolmabahçe Palace, which he built with his brother-in-law Ohannes and son Nigoğayos in 1853, was his most mature work. Throughout his 30-year career, Garabed Amira built a total of seven palaces, four factories, one barracks, one mosque, seven churches, two hospitals, three schools, two weirs, one fountain and one mausoleum along with countless residences. Most of his work still stands today. The "Çifte Saraylar" (the building of the present day Mimar Sinan University) in Fındıklı, the Gümüşsuyu Barracks, the Dolmabahçe Mosque, the Tomb of Sultan Mahmud II, the Harbiye School (the present day military museum) and the Hereke Fabric Factory were among the most recognized work by the architect. He first practiced the classical style before adopting the imperial style. During the reign of Sultan Abdülmecid, Garabed Amira played an important role in the urban developments of the Galata region. He earned success by not adopting the symmetry used in European cities but rather using the landscape's harmony of nature and sea. Garabed's son, Nigoğayos (1825-1858), studied at Sainte-Barbe Collage in Paris. He was the favorite student of well-known architect Labrouste. Nigoğayos then became the court architect. In his short but fruitful lifetime, he completed many buildings. The Küçüksu Pavilion, the Ortaköy Mosque and the Clock Tower of Dolmabahçe are Nigoğayos' most elegant works. The architect trained his students in wall ornamentation and stone carving using the instructors that he brought from Europe. He also spearheaded the Armenian Community Re-organization, which enabled people to have a say in the Armenian community along with the clergy. Nigoğayos died of typhoid at a very young age. His son Levon also studied architecture in Paris. Garabed's middle child, Hagop (1837-1875), graduated from the architecture department of Sainte-Barbe Collage in Paris as well. He became the court architect after his father. His most famous work is Beylerbeyi Palace (1864), which is the pearl of the Bosporus with its elegant ornaments, layers and gardens. His request for an audience from French Queen Eugenie, who stayed at the Beylerbeyi Palace during her visit to Istanbul, was accepted and he was awarded with many gifts. While the Beylerbeyi Palace was being constructed, the Ottoman sultan asked Hagop to fix a ruined church in Kuzguncuk at first in order for him to be able to attend morning rituals and not to delay the construction of the palace. Hagop attended morning prayers at the Surp Krikor Lusavoriç Church and then headed to the construction site without any delay. He was very interested in literature and theater. 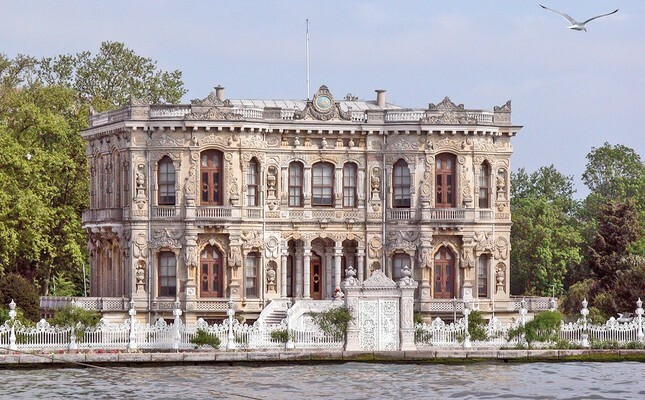 Amazing plays were staged at his mansion in Ortaköy. Upon the death of his young and beautiful wife during childbirth, he became weary of life; moved to Paris and died there. Garabed's other son Sarkis Bey (1831-1899) went to Paris for his education at the age of 12. After graduating from Sainte-Barbe College and Ecole Centrale, he studied at Ecole des Beaux-Arts and returned to Istanbul. He accompanied Sultan Mecid during his visit to Thessaloniki; there, he accepted his guests near the pool he built in a night. His inventions in engineering earned him worldwide fame, including his rotative steam engine and non-explosive sectional boiler, which won him an award at the International London Industry Fair in 1862. While he was honored with badges and ranks, he continued to be engaged in industry and commerce. As a contractor and entrepreneur, he operated mines and opened factories. He was assigned to build the Baghdad railway. He built some of the parts of Istanbul that were damaged due to earthquakes and fires and won the approval and trust of Sultan Abdülhamid. Out of his 50 works, the Kandilli Adile Sultan Palace (a high school today), Yıldız Palace's pavilions, Aksaray Valide Mosque, Harbiye Jail (the present-day Istanbul University), Galatasaray High School, Hamidiye Mosque and Hamidiye Clock Tower in Yıldız are some of the most popular ones. He worked with his brother Hagop. Sarkis won greater fame than Hagop because he constructed the structures his brother designed. As the last court architect of the Ottoman Empire, he is the most famous among his family and he was the first architect to use the collective working technique. He ensured that more than thousands of people worked effectively at the construction sites of more than 50 buildings without sacrificing quality. He also ensured that the welfare level of those employees was high. He owned the only island on the Bosporus, today known as Galatasaray Island, on the Kuruçeşme shore. He had a two-story mansion, which featured and a physics and chemistry lab. Thanks to his knowledge of mechanics, his speed and the affordable costs of building, he won much praise in Europe. He completed the Beylerbeyi Palace, which was a similar size to Paris's Nouvelle Opera, in two years and Yıldız Kiosk, the size of the Bibliotheque Nationale, in six months. Le Monde Illustre in Paris praised him for his quick work in an edition in 1875. Sarkis Bey was also an amateur painter and musician. He hosted Painter Ayvazovski, who was invited by Sultan Aziz to Istanbul. Garabed's youngest son Simon (1846-1894) was an expert designer and he created the wall and ceiling miniatures for the buildings built by his father and brothers. After his brother Hagop's death, he became the palace architect and built the Maçka Armory and police station. Not many people who perform their prayers at the mosques in the Bosporus are aware that some of these mosques have been built by an Armenian. Along with their contribution to Turkish art history, the Balyan family is a good example that equal opportunities were provided to different social classes by the Ottomans and those that were not from the dominant class could also make gains on their merits.